Gerolsteiner Brunnen GmbH & Co. KG (Gerolsteiner) is a leading German mineral water firm founded in 1888. &nbsp;The said company had its seat in Gerolstein, Eifel mountains which is known for its high carbonic acid that occurs naturally. 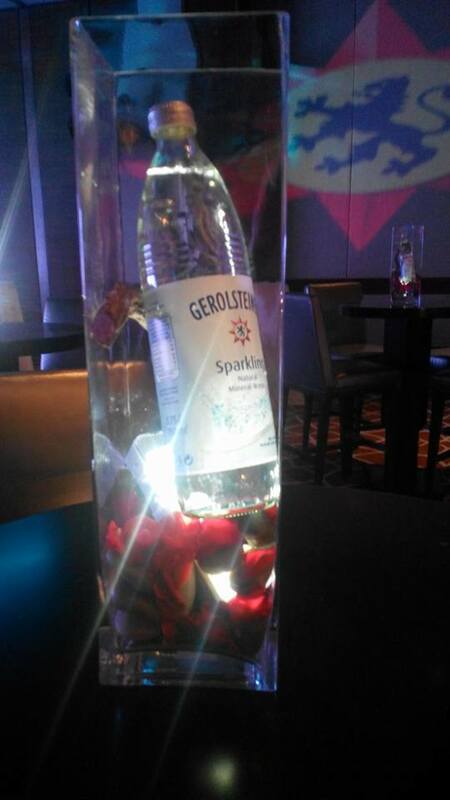 It is well known for its Gerolsteiner Sprudel brand, a bottled, naturally carbonated mineral water. The secret to Gerolsteiner Sparkling Mineral Water’s refreshing taste is its pure and pristine origins – the Volcanic Eifel located in the subterranean aquifers in Gerolstein in Germany. The special geological features of its location make it 100% naturally rich in essential minerals, in particular a unique balance of: Calcium (for healthy bones, teeth and muscles), Magnesium (for the healthy functioning of the nervous system and necessary for efficient muscular function) and Bicarbonate (its acid-neutralizing effect gives the water a pleasant, well-balanced natural taste). Gerolsteiner water contains &nbsp;bromine, calcium, chlorine, fluorine, lithium, magnesium, manganese, nitrogen, potassium, silicon, sodium, strontium, and sulfur &nbsp;at least &nbsp;in amounts of 100 or more micrograms per liter. The strontium is naturally occurring, not the radioactive strontium-90. &nbsp;The result is a well-balanced minerals, refreshing taste Designed by Nature. Water is the essence of life as it plays a crucial role in our daily living. Water makes up 90% of the lungs, 80% of the blood and three quarters of the muscles and brain. When the body lacks water or is dehydrated, many body organs and their functions – from digestion, blood circulation, regulating body heat to eliminating waste – will be affected tremendously. The human body relies on the amount and quality of water that we consume daily. By going for “mineralized” water, we can keep our bodies functioning at optimal levels. And because Gerolsteiner Sparkling Mineral Water is bottled directly at source, drinkers are provided with the highest levels of mineral-rich hydration. This makes Gerolsteiner unique as its mineral components are the highest among other water brands. In fact, one liter of Gerolsteiner Sparkling provides more than the daily calcium requirement (348 mg) and ¼ of the daily magnesium requirement (108 mg). It also contains at least 1,800 mg of bicarbonate, potassium (11mg), sodium (118mg), sulphate (38 mg) and carbonic acid (7,000 mg). With its natural pure source and unique mineral combination, Gerolsteiner Sparkling Mineral Water is indeed a world-class bottled water brand unlike no other. The unique balance of minerals in Gerolsteiner ensures their bioavailability – the minerals are already dissolved, so that the body can absorb them quickly. The ratio of minerals, especially calcium and magnesium, also enables maximum usage. Highest quality assurance Delighting thirsty drinkers all over the world since 1888, Gerolsteiner proudly carries with it 120 years of tradition and innovation. Gerolsteiner’s highest quality remain unchanged through strict product monitoring, from source to the bottle. To ensure the product does not contain any substances that may potentially harm people or the environment, regular checks are done by a highly qualified in-house quality assurance team which conducts over 400 microbiology and chemical analyses daily. Gerolsteiner utilizes a new high-quality PET that has acetaldehyde blockers. This means that the acetaldehyde molecules stay bonded to the material and cannot pass into the product. This significantly contributes to the quality and safety of the mineral water. Apart from all-natural, fool-proof packaging, Gerolsteiner Sparkling Mineral Water undergoes safety routine and extensive internal and external inspections to preserve its high quality and ensure that the pristine quality of Gerolsteiner bottled water products are not compromised. Gerolsteiner implements an integrated management system and is certified in accordance with the following international standards: Quality management: DIN FSSC 22.000, Environmental management: DIN ISO 14.001, and Energy management: DIN ISO 50.001. Suitable for every occasion and every hydration needs – whether to replenish lost fluids after performing strenuous physical activities like a high-impact sport, improve stamina while recovering from sickness or just seeking for a refreshing pause in between daily grinds – Gerolsteiner Sparkling Mineral Water lives up to its promise of healthy hydration that not only tastes good, but one that is genuinely good for you, too. 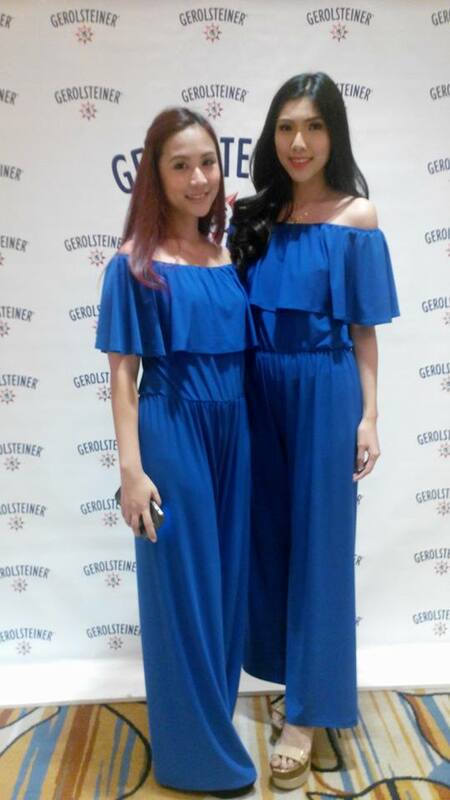 “Gerolsteiner Sparkling Mineral Water is not only a ‘lifestyle’ water; it’s something that greatly helps replenish lost minerals in the body. In this busy modern age where people seek for quick ways to optimize their health for longer, enjoyable lives, this mineral-rich thirst-quencher is their best, reliable option,” stressed Jun L. Cochanco, President of Fly Ace Corporation, the official distributor of Gerolsteiner in the Philippines. With these amazing amounts of minerals made easily enjoyable in every bottled Gerolsteiner Sparkling Mineral Water, Filipino health seekers can finally quench their inner thirst while rejuvenating their bodies, naturally, with its many health-boosting benefits. 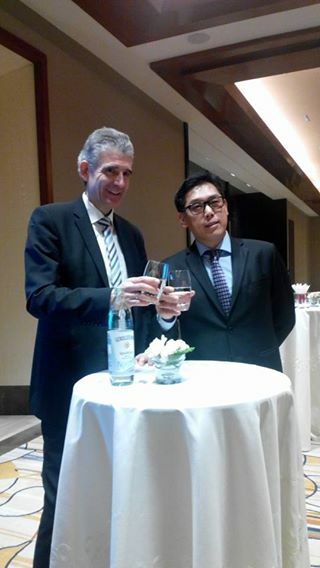 Germany's most trusted sparkling water is made available in the Philippines through Fly Ace Corporation..
Know more about Gerolsteiner by visiting www.gerolstenier.com.